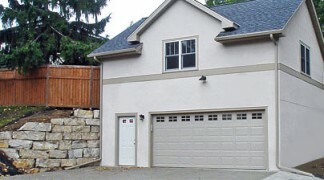 Next to additions or high end remodels, garages are one of the bigger projects home owners do. 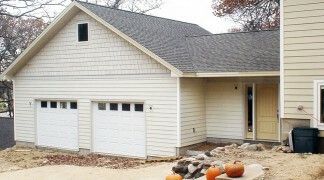 From simple to elegant … Home Customizers can build you one! As much of Home Customizers work is in older neighborhoods, we find a huge demand to tear out old, poorly built one-car garages that served an earlier era. We can build to every budget but we will not compromise on the concrete work! I see competitors pouring thinner slabs with no reinforcing bars in it. If you are being quoted wire mesh reinforcement you are being given an inferior product. When I see poor concrete work I know that poor quality materials and labor will follow in the structure. Not us! As with all of Home Customizers’ projects, we only use the best subs, the best supplies and the best practices.